4.This solar lights will turn off after 6 hours using.Pls turn it on if you still need to use. 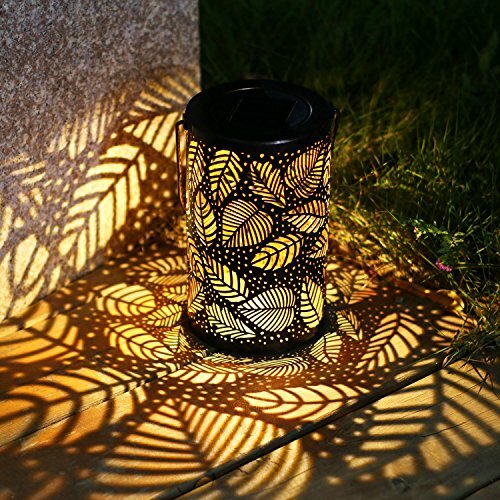 10 Lumens Warm White Lantern:Easily add ambiance to your garden,Table or patio with TAKEME outdoor solar lantern. actinomorphous shadow: delicate leaf reflection after lighting up, giving you unexpected visual effect. Size: 4.9"(L)*4.9"(W)*7.87"(H).Perfect for decoration for garden,table,balcony or outdoor.A best gift for your friend.